Imagine an app that can recognize the face of any person in the world. 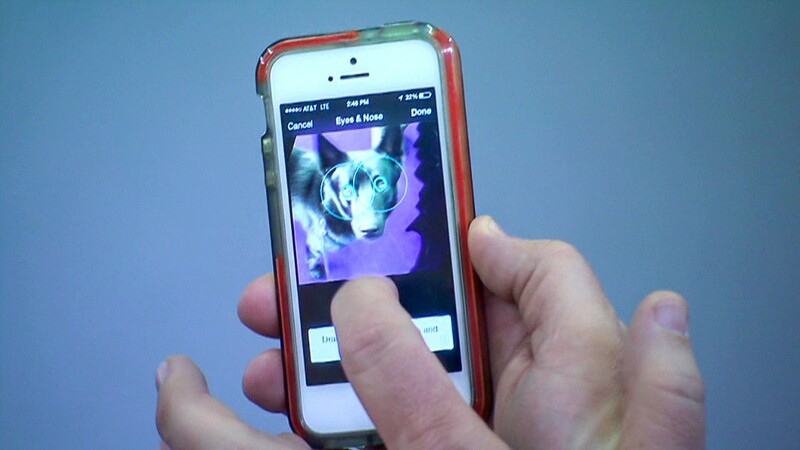 Blippar, the visual search engine, is well on its way there. The company unveiled a new feature on Tuesday that recognizes faces of famous people, and will soon let you add your own to a searchable database. It's meant for those moments you see a celebrity and just can't quite place what movie they're in. But use cases could be much broader -- for instance, the average person could upload their photo and let strangers using the app recognize them on the street. "You almost create your own human billboard for yourself," Blippar cofounder and CEO Ambarish Mitra told CNNMoney. To identify a face, open the Blippar app and hold your phone's camera up to it. 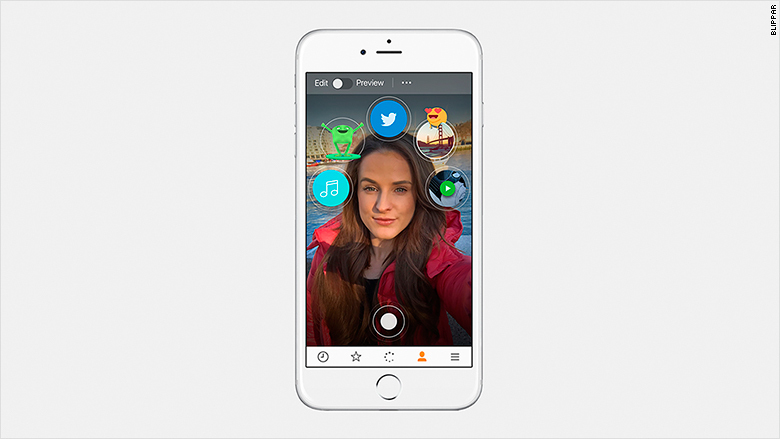 If the subject is in Blippar's database, a circular avatar will appear surrounded by other circles containing information about them. A facial search for Chloë Grace Moretz on a magazine cover included "Hugo," her personal connections, and a Vogue profile. Blippar calls these bubbles part of its "knowledge graph," pieces of information a subject is connected to. There are over 3 billion facts in the graph. Mitra is quick to point out that all this information is already available online. The company created a database of 70,000 celebrities and public figures based off the most popular people on Wikipedia. And the number keeps growing. Eventually, Blippar will automatically add people who aren't necessarily public figures, but are verified on Twitter and Facebook. People unknowingly uploaded to Blippar can ask to be removed. You''ll be able to create a personalized knowledge graph when uploading your own face, including your Twitter and Spotify accounts, and your favorite movies, books or facts. So when someone searches (or "blipps") your face in real life or from a photo, your picture, along with all those interest bubbles, will appear. It's possible to add other people to Blippar via photos, but Mitra said he doesn't think anyone will do that because it's much more difficult. In order to add themselves to the database, users will have to move their faces around to accurately capture every aspect of their face -- from the eyebrows down to the chin. This requires facial movement -- nearly impossible to get from a photo. People already overshare on social media, and there's a good chance your face is already in a searchable database, albeit one that's not public. Facebook's facial recognition uses all the photos you've shared to create a profile on you -- that's how it knows to tag you and your friends in photos. Blippar takes that a bit further by giving users the ability to share their face with anyone. Jennifer Lynch, senior staff attorney at the Electronic Frontier Foundation, advises against voluntarily adding your face to a searchable database. Just like our web browsing, biometric data could potentially be collected and sold to financial or healthcare companies to build dossiers on users. Blippar declined to say where its facial recognition data is stored or whether it will distribute it to third parties. Blippar doesn't currently release a transparency report disclosing government requests for data like Facebook (FB) and Twitter (TWTR) do. Mitra didn't say whether Blippar would alert users when law enforcement asks for information, saying the company will comply with all laws and regulations and "act in good faith." The company, founded in 2011, has 65 million downloads. "The biggest concern about biometric information is that it can't be changed," Lynch told CNNMoney. "There's no way you can change your face, your fingerprint, or your iris. If there's any kind of a data breach with a private company or government entity, then that data exists out in the world. It's not like a credit card you can just change." And if we're using our biometric data as identification instead of passwords -- like the system Amazon recently patented -- our faces could serve as online authentication. Further, she said, most people would likely be uncomfortable with being recognized on the street via an app. That's just creepy.